A family picnic favourite sure to keep all the family fed this summertime. This luxury basket has a full 4 piece set complete with field safe glasses, plates and cutlery. Forrest Feast white chocolate cranberries 85g. 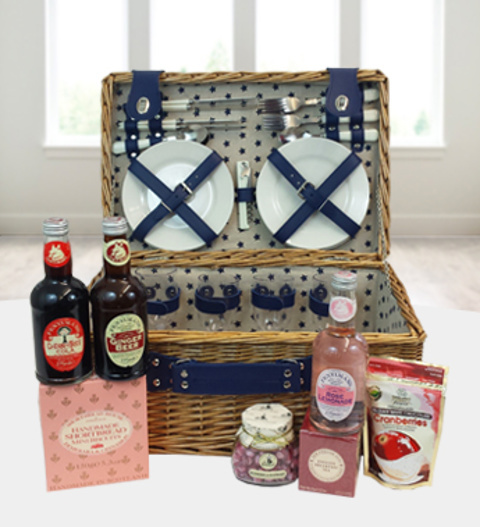 The Prestige Flowers Family Picnic Basket is available for UK next day delivery.